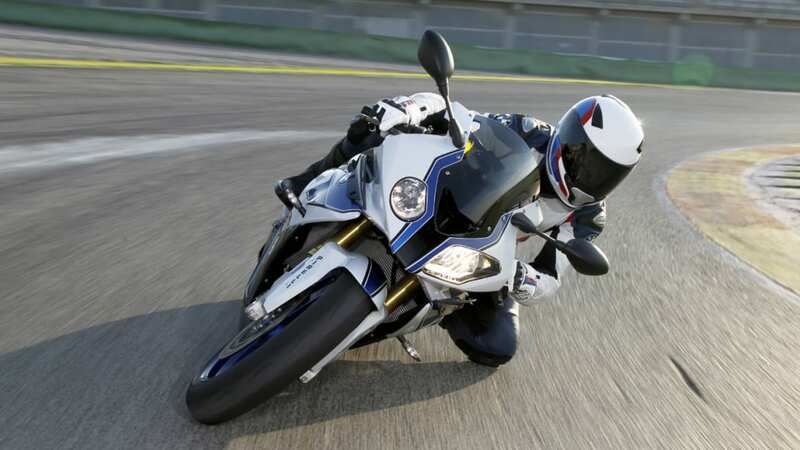 BMW has had a line of HP – for High Performance – motorcycles for seven years, but they have all used the company's signature boxer engine layout. 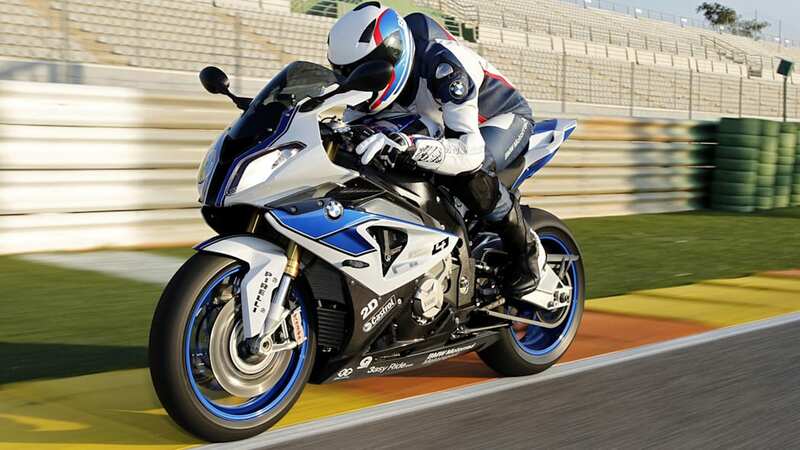 The new HP4, on the other hand, is a 1000-cc class bike using an evolution of the four-cylinder engine from the BMW S 1000 RR sport bike. 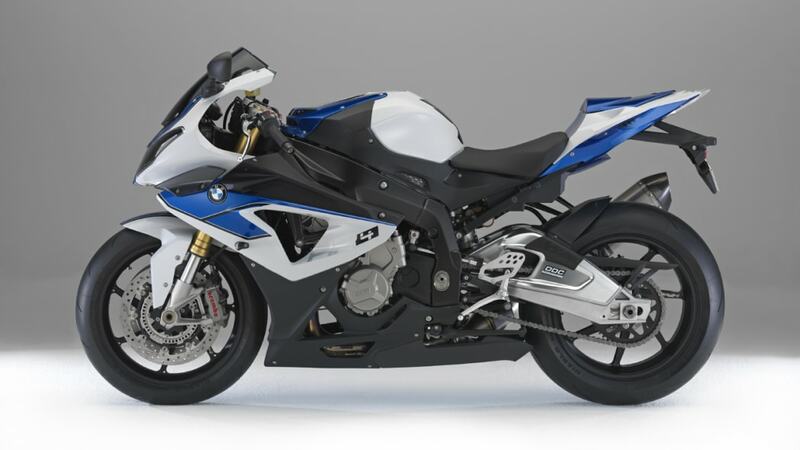 A homologation special, the configuration isn't the only first in the HP4's arsenal: it comes standard with an active, electrically-actuated Dynamic Damping Control, a torque-adjusting Launch Control system, and BMW claims its the lightest four-cylinder supersports bike in its class, with a dry weight of 169 kg (371.8 pounds) and 199kg (437.8 pounds) with a 90-percent full tank. Bits like the lightweight, forged wheels, titanium exhaust and lighter sprocket carrier and battery have helped shed the pounds. 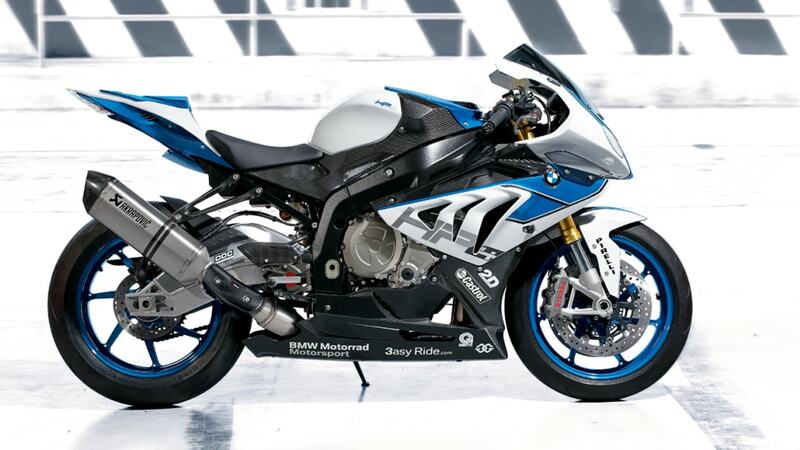 The engine cranks out 193 horsepower and 82 foot-pounds, the same numbers as on the S 1000 RR. However, every bit of horsepower is available in all the traction control modes, torque response has been boosted from 6,000 rpm, and the torque delivery curve is smoother when the traction control is in Rain mode. 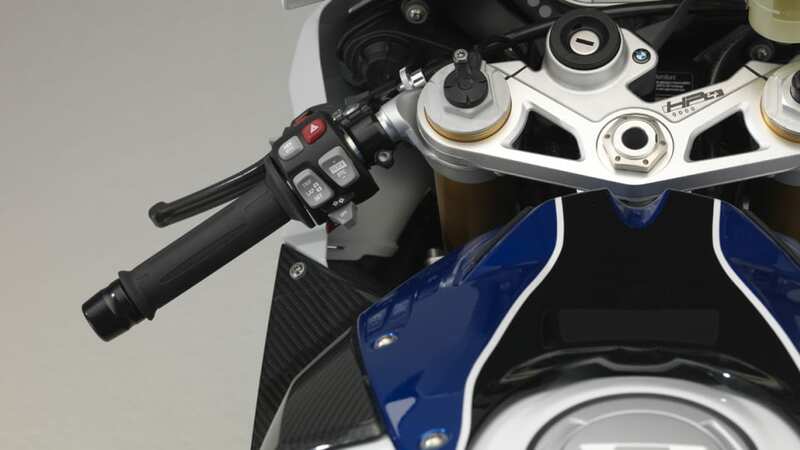 Helping a rider keep it all under control are that Launch Control, a shift assistant for seamless gearchanges, an updated, four-mode Race ABS system, traction control that can be adjusted on the fly, and Brembo monoblock brake calipers. There's a competition package offered to harden its edge further, and a passenger package if you need to go the other way, but with two. Price hasn't been divulged, but there's a press release below full of the kinds of details that let you know the HP4 won't be a bargain. 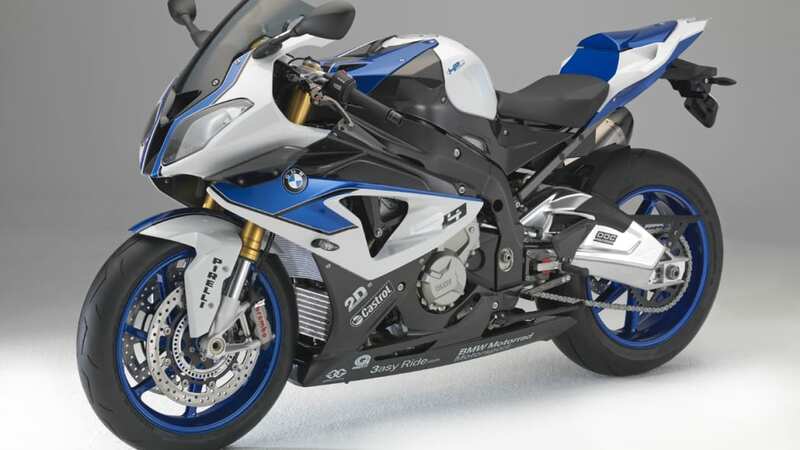 27/07/12 -- With the BMW HP4, BMW Motorrad presents the lightest 4-cylinder supersports bike in the 1000cc class to date. 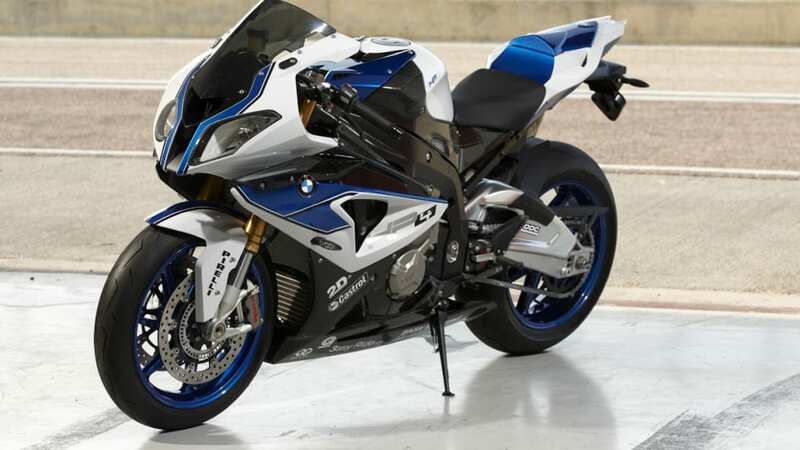 Based on the BMW S 1000 RR - or RR for short - the new sports motorcycle has an output of 142 kW (193 hp) and weighs just 199 kilos including Race ABS and with a 90% full fuel tank (169 kg dry weight with Race ABS). The HP label stands for high performance, and the HP4 once again embodies outstanding agility, power and riding dynamics. But it also reflects the use of extremely high-quality materials and intelligent technology, carefully conceived down to the last detail. In short, the HP4 stands for perfectly controllable power and sporty perfection. A genuine highlight: due to its extensive range of fittings and excellent set-up, the new HP4 is immediately ready for use on the race track ex works, requiring no elaborate modifications. But at the same time it offers great potential for dynamic riding on country roads. 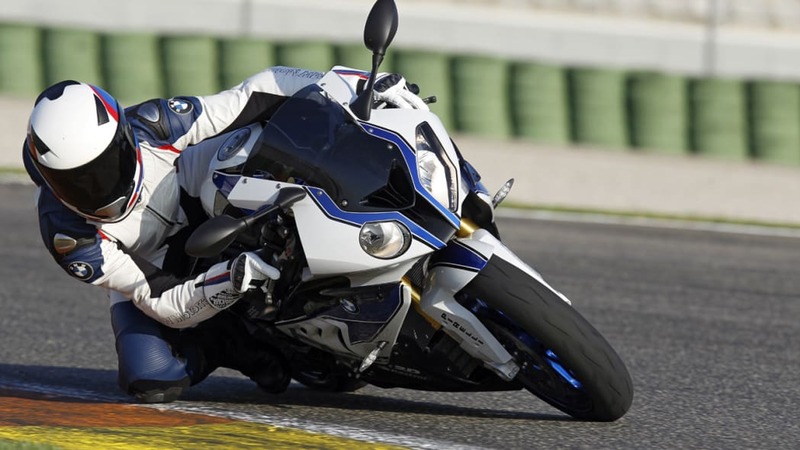 Still, the HP4 is entirely uncompromising, combining athletic flair and riding dynamics at the very highest level - to an even greater extent than the S 1000 RR. 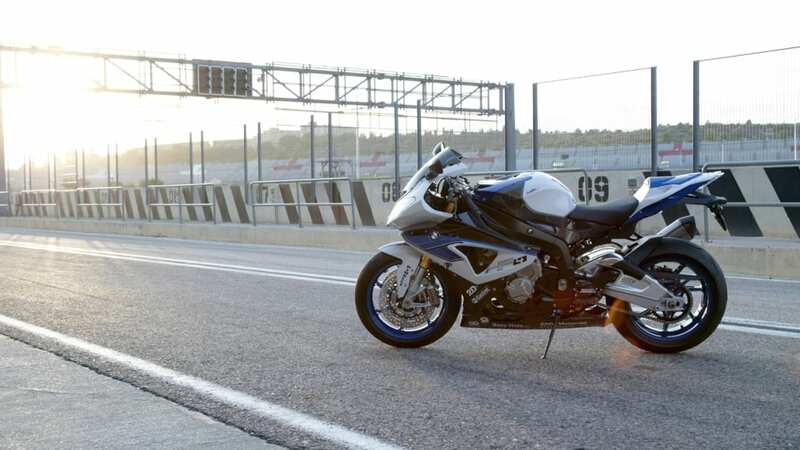 Since its international press presentation in autumn 2009, the S 1000 RR has sped from one triumph to the next - and not just in motorcycle magazine comparative tests. This is clear evidence of the qualities and the consistency of the supersports concept. Fitted with Race ABS and Dynamic Traction Control (DTC), the RR set a new benchmark in this hotly competed and technologically highly sophisticated segment. 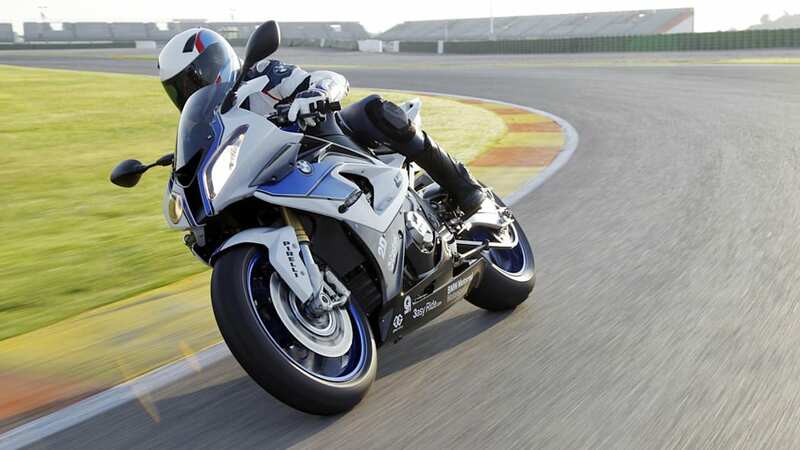 But even the S 1000 RR left some room for improvement. 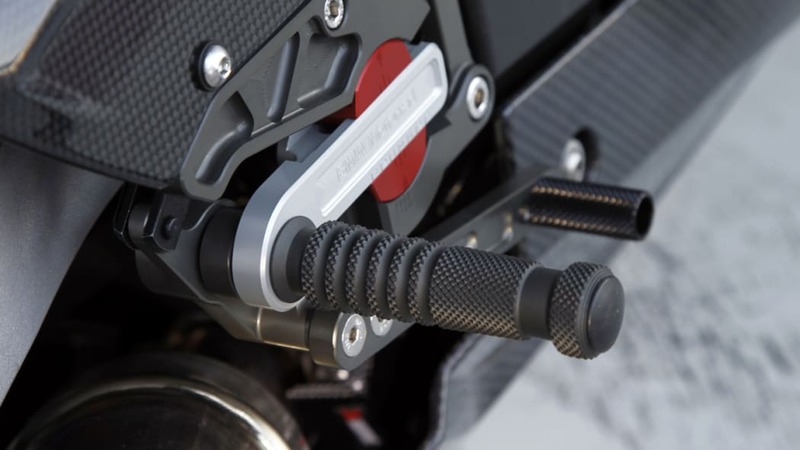 Dynamic Damping Control DDC - a world first in serial motorcycles construction. As before, this ABS has four different modes for wet surfaces ("Rain"), roads ("Sport"), race track with supersports tyres ("Race") and race track with slicks ("Slick"). Racing experience gained from the IDM (International German Motorcycle Championship) has been fed directly into the Race ABS fitted in the HP4. In "Slick" mode, the so-called IDM setting with refined regulation impulses now gives the skilled rider the option of maximum possible deceleration. New 200/55 ZR 17 tyres on the rear wheel and finely adjustable Dynamic Traction Control in "Slick" mode. 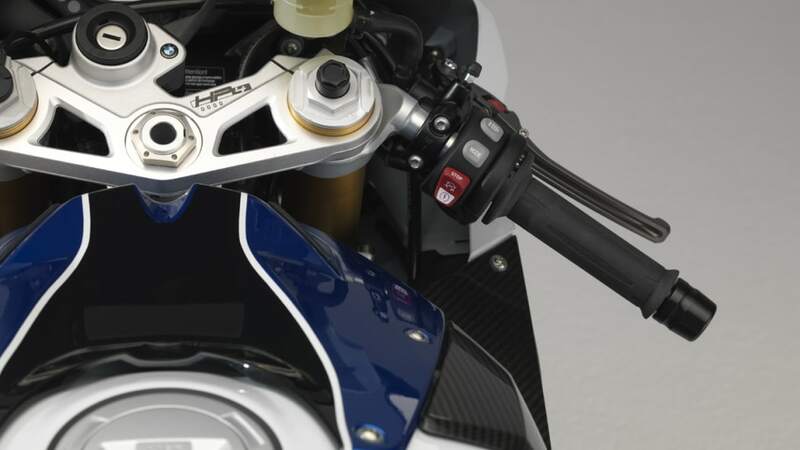 The HP4 uses a rear tyre in the new format 200/55 ZR 17. 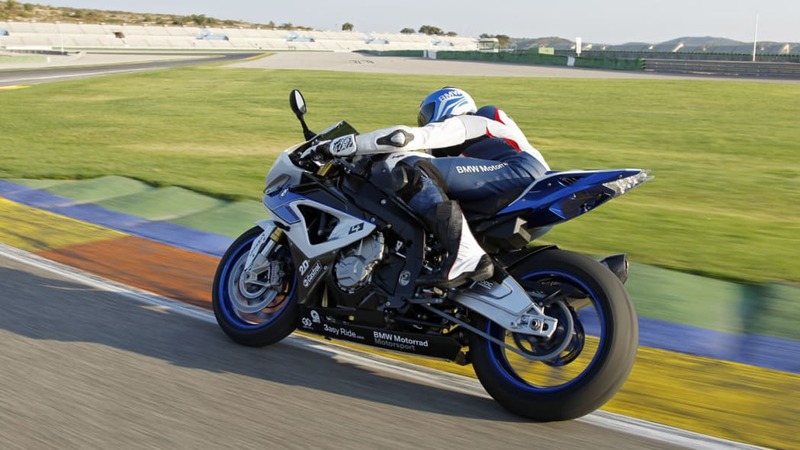 The Dynamic Traction Control DTC already used in the RR has been optimized for supersports use in the HP4: now the effect of traction control can be adapted in "Slick" mode to changing conditions and the rider's individual preference while on the move. 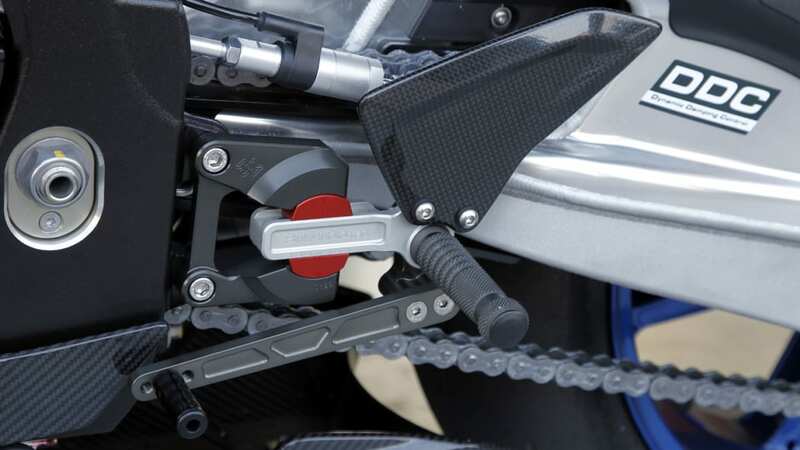 The HP4 is the first BMW motorcycle to have a so-called Launch Control function which provides active support for the rider in "Slick" mode to achieve maximum acceleration from standing - for example on race starts. 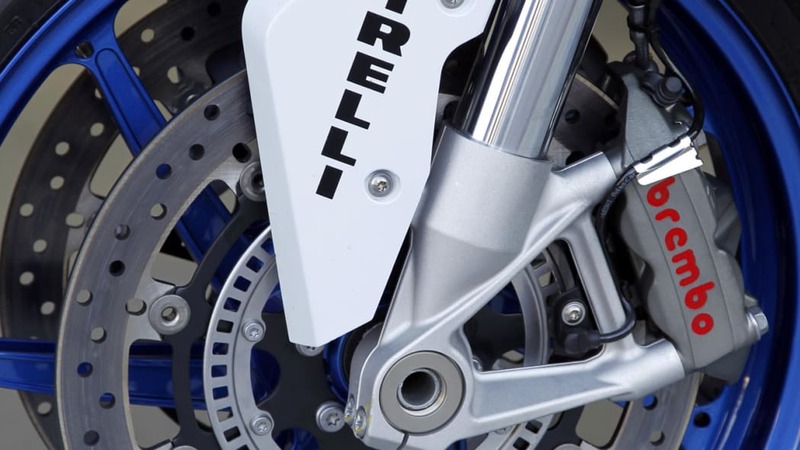 Launch Control limits engine torque so as to provide the maximum torque transferable from the rear wheel whenever the front wheel is under no throttle. 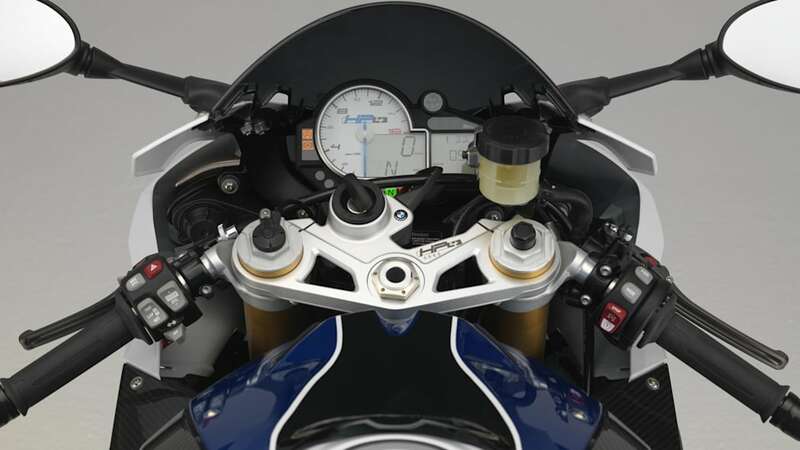 This means the rider has to focus less on the throttle because he is controlling acceleration solely using the clutch. In addition, when Launch Control is activated engine torque is reduced as soon as the system detects front wheel lift. This prevents unwanted wheelies when accelerating. 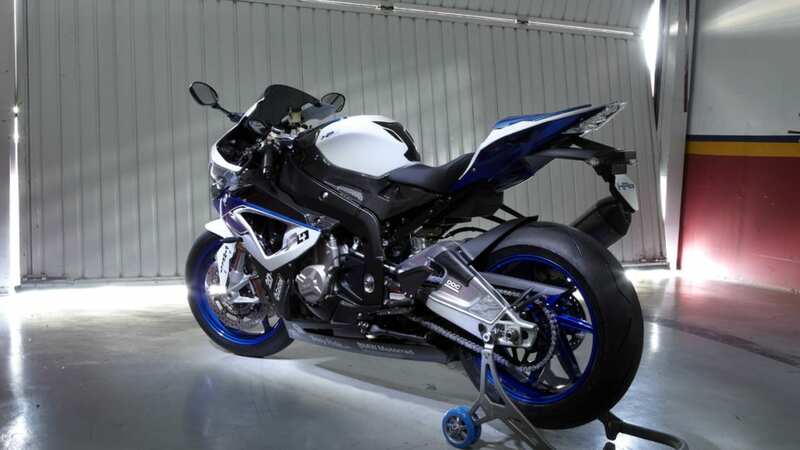 The exhaust system is made entirely of titanium and saves as much as 4.5 kilograms as compared to the RR, thereby contributing to the HP4's enhanced handling qualities. The new exhaust system has an interference pipe between cylinders two and three, a controlled acoustic valve and a closed-loop catalytic converter. It has been possible to optimise the torque curve thanks to the new exhaust system, with the engine application adapted accordingly. 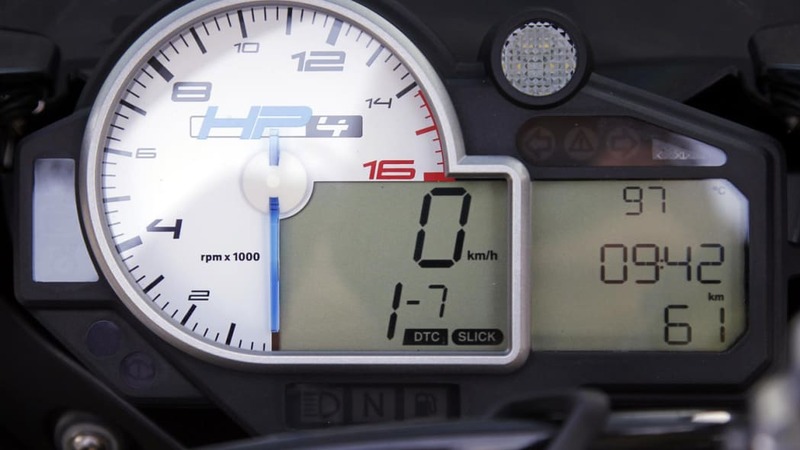 The new HP4 is fitted with the water-cooled 4-cylinder in-line engine of the S 1000 RR with a peak output of 142 kW (193 hp) at 13,000 rpm and a maximum engine speed of 14,200 rpm. As in the RR, its maximum torque of 112 Nm goes on stream at 9,750 rpm. The torque has been perceptibly increased in the 6,000 rpm to 9,750 rpm range. In "Rain" mode there is now a smoother output and torque curve available between 2,500 rpm and 8,000 rpm. Unlike the RR, the 4-cylinder in-line engine in the HP4 provides the full output of 142 kW (193 bhp) at 13,000 rpm in all modes - "Rain", "Sport", "Race" and "Slick" - with an identical throttle curve and thus the same response, making it perfect for use on the race track. 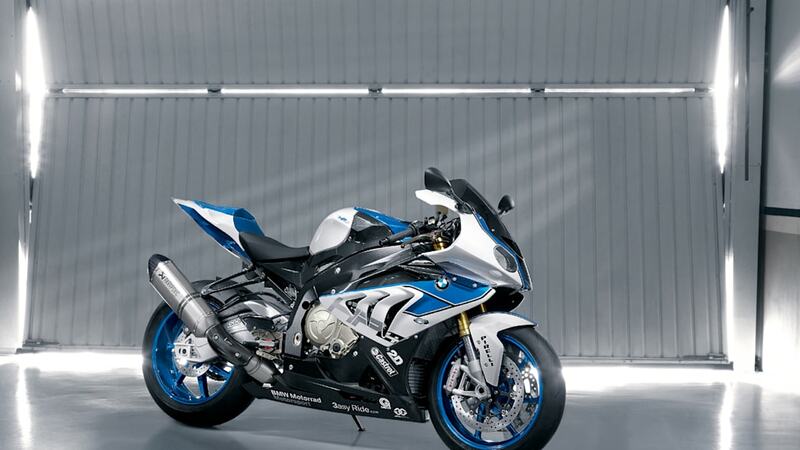 In visual terms, too, the new HP4 is consistently in line with supersports aspirations for the race track and for dynamic country road riding. In addition to the monoposto look there is a dual-section engine spoiler - elongated as compared to the RR - and a tinted windshield, both of which highlight the increased dynamic performance of the HP4. The small, light LED turn indicators are discreetly integrated and the laser-engraved HP4 logo with serial number on the upper fork bridge underscores the bike's exclusive character. An elaborate multiple colour paint finish in Racing blue metallic/Light white creates an appropriate racing-oriented appearance. 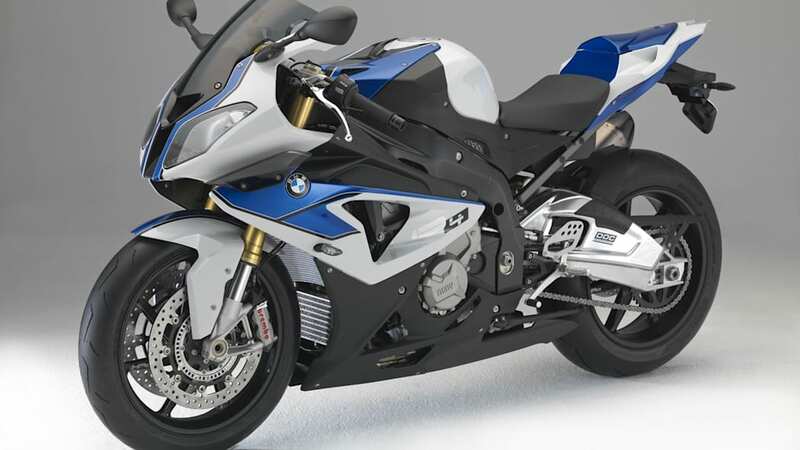 HP4 with Competition Package – top-level exclusive flair due to use of the very finest materials. - Fork bridge with engraved number and HP4 logo. - (90% DIN unladen weight). - Innovative suspension with Dynamic Damping Control DDC. - Race ABS with IDM setting. - Dynamic Traction Control DTC with fine adjustment in "Slick" mode. - New rear wheel tyres, 200/55 ZR 17. - Shift assistant as standard. - Light titanium exhaust system with controlled acoustic valve and interference pipe. - Forged light alloy wheels, anodised in black. - Radial monoblock brake calipers by Brembo with special brake pads. - 9x floating brake discs at front. - Extended, dual-section engine spoiler. - Seat in monoposto look with passenger seat cover. - Lighter 7 Ah battery. - Increased torque in the medium engine speed range. - Long, closed engine spoiler made of carbon. - Sponsor sticker kit included. - Wheels in Racing blue metallic. - HP Carbon badge carrier. - HP Carbon tank cover. - HP brake lever, hinged. - HP clutch lever, hinged. - HP rider footrest system, adjustable.